Down the valley the mill makes monsters, rising smoke forms alliances with passing clouds. It all seems so simple really. Sky above, earth below, night time comin’ on. Put a log on the fire and hot tea in a cup. Read a good book and be one with the stillness of it. Christmas is not really my holiday, but the world seems easier for the moment and the inner voices are quiet. A passing breeze brings raindrops. Marathon Camp Lesson No. 1…Run for an hour. Turn your hat backwards. Follow the moon home. Wash your face with cold water. Do crunches for four minutes like Coach told you to, 40 years ago. Do 20+ pushups. Eat toast, drink coffee. Go to a meeting. Do it again tomorrow. Life is where you find it. Life is what you make of it. “Welcome to the mountain. If you love mushrooms you are already a billionaire. ” Sakai said that. Marathon Camp lesson No. 2…Run more. Facebook, Twitter, ESPN? Less. Rest, eat some good stuff, sleep and then get up and run again. Keep an open mind, open clear eyes, trust your pure heart. In other words, run daily, run slowly, don’t eat like a pig. Equally, relax and keep paying attention. Ernst Van Aaken said that, with a little help from Roger McGuinn. Marathon Camp Lesson No. 4…Go out before daybreak. Start at bottom of trail. Turn hat backwards, turn on headlamp. Walk slowly. Pick up pace as muscles loosen. Pump elbows, breath in, breath out. Follow the trail. Avoid the glittering eyes in the trees. At the top, turn off your headlamp, lower your voice. Gaze at the stars. Pause. Turn on your headlamp. On the downhill, stretch it out, let it rip. Breathe deeply. In. Out. Smile. Everything is possible. Napa 2009 Memory…A steady rain falls over the hills east of the Silverado Trail, an augury of the internal storms to come for those here to run the 31st Napa Valley Marathon. Cold, wet, tired, migrained, 62, I am at a start line after an absence of three long years. The rain seems a messenger from on high, cleansing the earth, the road ahead, readying the bodies and minds of the faithful for the task at hand. Marathon Camp Lesson No. 4.5…Whip 2 eggs, 3 cups of skim milk, 3 cups of oatmeal, cinnamon to taste, 2 tbs sugar…preheat oven to 350, bake until done. Taste and refrigerate until morning or the midnight creepies, which ever comes first. Homemade carb loading after midnight. How cool is that? Marathon Camp Lesson No. 5…1/2 bagel with PB. 1/2 banana. Water. Gatorade. Walk to a start line. Clear mind. Start slow, find your pace, look around. Lean on the final turn, keep your head up, eyes clear. Get a medal and some food. Look for a smile and a hug. A 1/2 marathon is not half of anything really. It is a full 13.1 miles. Later, when the road shows no sign of the race, embrace the idea, the reality, that the memory will last your lifetime. Marathon Camp Lesson No. 6…Thomas Wolfe of “Look Homeward Angel” wrote that he would “…go up and down the country/and back and forth across the country/…go out West where the States are square/…go to Boise and Helena and Albuquerque/ I will go to Montana and the two Dakotas/…the unknown places.” Unknown places in the heart, a cadence of breath and footfall; the miles unwind, mind clears; all there is left is the doing. Marathon Camp Lesson No. 7…How will I be humbled today? It is difficult when it is difficult because it is supposed to be. The lesson is that water wears away the hardest stone by flowing around it and over it; so, too, I get where I am going by yielding and continuing on at the same time. There is exhilaration, relief that the hard part has arrived. Now it is my time to find out what there is to find out on this day. Marathon Camp Lesson No. 8…We do not often speak of the Wall, of leg cramps, hunger, rain, or hills in reverent tones. In each of us lives a desire to be challenged, to keep on, to stay in when the road gets hard. Without the difficulty, the victory over distance, of self over self, is harder to calculate, harder to embrace. It is harder to cherish, harder to keep shiny for the moments when things get lost and life gets away. Marathon Camp Lesson No. 9… My magic mystical tour of the marathon has given way to a recognition that a run is just that, a run; train for it, run it. To carry the weight of recovery, of failed dreams and self image is way too much. 26.2 miles brings one to one’s knees no matter who they are; it is a humbling exercise in reality, in acceptance. It is less about will power and guts and more about being present with who we are in that moment. Marathon Camp lesson No. 10…Take a step. Take another step. Repeat. Napa 2009 Memory No. 2…By late afternoon there was no evidence of the 2,500 runners and volunteers. No paper cups, no Gu packages. The sun came out and by nightfall the Silverado Trail was dry. The next morning all that remained was local traffic and the faint sense of something that had happened here. It, too, would be washed away by the morning rains, falling light upon the vineyards whose bounty was still months away. Marathon Camp Lesson #12 … “With malice toward none, with charity for all, with firmness in the right as God gives us to see the right, let us strive on to finish the work we are in, to bind up the nation’s wounds, to care for him who shall have borne the battle and for his widow and his orphan, to do all which may achieve and cherish a just and lasting peace among ourselves and with all nations.” Mr. Lincoln said that. Marathon Camp Lesson #12.5 … It was raining when he said it. It had been raining for weeks. It was raining today when I went to “the Linc”. K. Newsome, the security guy told me he didn’t mind the rain. “It’s the Lincoln Memorial.” he said in explanation. Made sense to me. Marathon Camp Lesson #12.75 … The rain drifts across the Wall. I walk the length of it. And back. A younger guy, Marine Corps fit, is checking names. He stops for a while in front of Panel E-24. August 1967. I was 21. As I leave, he is looking up something in the book. Father? Brother? It was raining years ago in March of ’68 when I left home for good. Went north. Stayed north for a long time. 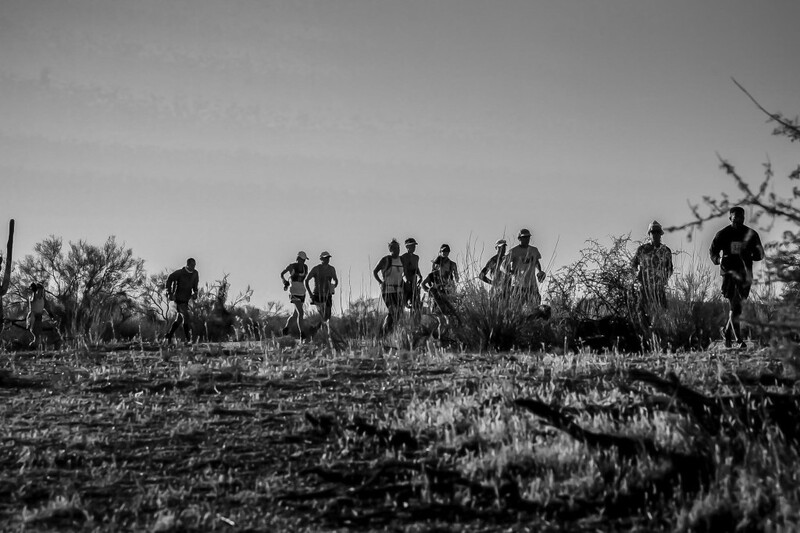 Marathon Camp lesson 13.1…Came home 10 years ago to a hot and dusty place. Stayed for several years. When it got hard to stay clean I hunkered down and weathered the storms. I had a lot of help from my friends. Why is this lesson numbered 13.1 pointing, as it does, to the distance of the poorly named half marathon event? Because my journey has only half begun, despite whatever the chronological clock may say. I came home, put in my time, moved back to this place of big weather and ancient trees, fixin’ to begin again. And like the marathon, if you don’t make the starting line, you don’t run the race. I’m in it now and speaking just for me, I am damned glad I made it. My father’s birthday came and went yesterday. He would have been 92. I associate the Lincoln Memorial, politics, political compassion , America and moral conscience with him. He tried to teach me that believing in something is crucial to a life of value, that belief is enduring despite changes in focus, that one cannot help others until one can help him/her self, that individual responsibility is the predecessor to the body politic and conscientious social change. In other words, there is a higher morality, go find it, and then live it to the best of your ability. All the rest is conversation. There are many days that I wish I had heard him earlier, that our last years had been less complicated by my addiction and his failing health; that we had spoken of what we knew to be true, that love abides and that I could and would be of value once my personal war was over and won. RIP M. Mickey Lebowitz November 18 1917-October 14, 2000. This morning, like that of a year ago, I was out in the weather mixing my sweat with the falling rain, a middle ground between the earth and sky, connected by my actions and my dreams to the world of others. I came in, I dried off, I ate something and I sat down to look for the words. This is, after all, the life I have and it’s time to get it right(Mark Twain said something like that).